In some situations, the gain can reach 50%. For example, a site with the weather forecast Weather.com in the browser it takes 340 and 250 MB of memory. Tests Chrome 55, held Prerender.cloud, creating snapshots of the state of the page and change tracking Manager is done with an interval of 30 seconds. In almost all scenarios, the tab remained active, and all extensions, except uBlock has been disconnected. 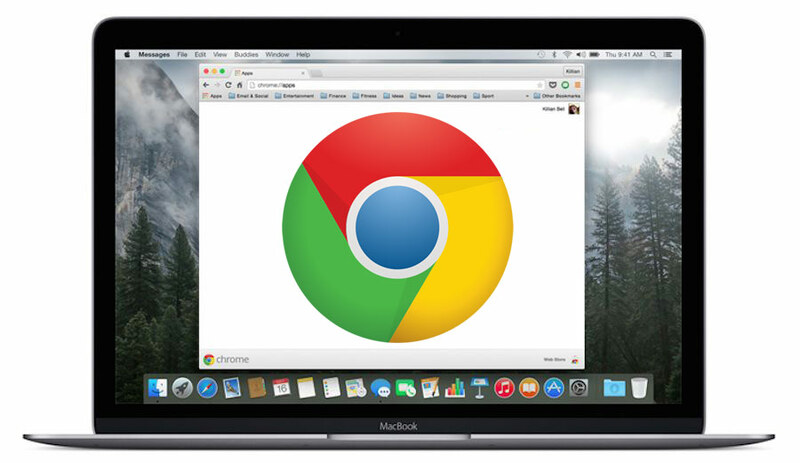 For testing we used a laptop 15-inch MacBook Pro with Retina display running OS X Yosemite. In addition to the serious optimization in the area of RAM in the new web browser has blocking Flash Player by default. 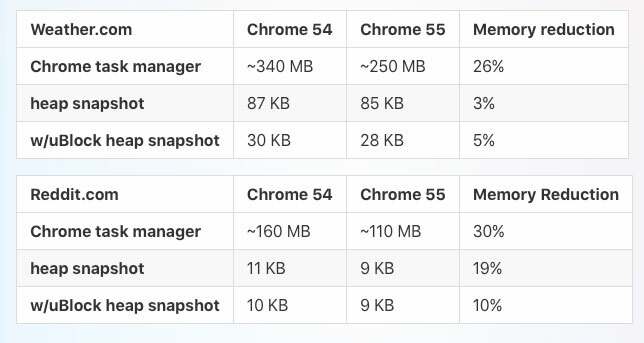 Thus, 55 Chrome loads HTML5 version of the site in the first place. In addition, from the Chrome menu 55 removed the option to manually select text encoding, which allows to change the encoding selected for an open page automatically. Users, the lack of automatic encoding selection, it is proposed to use a third-party extension.